Many visitors over the years have reported seeing, hearing and feeling things they can’t quite explain during visits to The Real Mary King’s Close in Edinburgh. 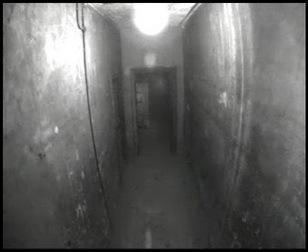 Unexplained happenings have been reported to staff at the Close on a regular basis since the attraction opened in 2003, but the majority of sightings have taken place on the same night each year – Halloween. This year the team at The Real Mary King’s Close is prepared to investigate the truth behind these happenings at Halloween. A webcam has been installed to capture everything that happens in Chesney’s House – the area where most people have reported strange goings-on. Mr Chesney, who used to live in that house, was the last person to leave the Close in 1897. The camera is recording footage 24 hours a day and can be viewed live. Nigel Hosier, manager of The Real Mary King’s Close attraction, commented: “I think the senses are heightened at Halloween and people visiting the Close seem to see and hear a lot more than what we set up as part of the tour. We take all the reports we receive from our visitors very seriously and would love to capture something on camera to help explain these happenings. We won’t be able to monitor the webcam 24 hours a day, so if people spot anything unusual we would love for them to let us know so we can investigate further. The new extended Supernatural History Tour of The Real Mary King’s Close is a spookier alternative tour for Halloween. Edinburgh’s myths and legends of witchcraft, the supernatural, and the reported paranormal activities on the Close will all be examined, including the revealing of the new electronic voice recordings. Tours take place from 7pm on Thursday 27, Friday 28, Saturday 29, Sunday 30 and Monday 31 October. The last tour departs at 9pm every night except on Halloween (31 October) when the Close will be open late to give visitors the rare chance to be on the Close at midnight, with the last tour leaving at 11pm. To find out more see our Supernatural History Tour page and to book tickets please visit our bookings page or call 0845 070 6244.